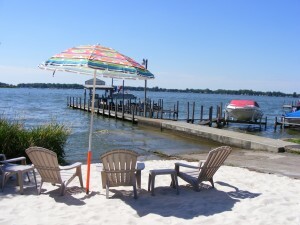 Located on Buckeye Lake in Millersport, Ohio – Alexander’s Landing offers you the products and services you need and all from a local, historical, family-owned Marina. * Avalon Luxury Pontoons Dealer! Note: We’ll be at the Ohio Boat and RV Show from January 5th through the 14th! The show will be closed on Mondays and Tuesdays. Alexander’s Landing is a full-service marina offering Avalon, Mercury and Mercruiser – including a complete line of boating accessories and parts. Services include boat mooring, winter storage, marine pump-out and non-ethanol gasoline (Marathon Recreational 90). With over three generations of assisting Central Ohio as the ultimate full service marina, we’re dedicated to providing the most advanced and proven line of marine design and power at a competitive price. Read more about our Historic Site here. The introduction of E15 into the marketplace poses one of the greatest threats to recreational boating. E15 is proven to damage marine engines and is a serious human safety, environmental, and technology concern. For the first time in 2016, EPA has mandated ethanol volume levels that exceed the “blendwall,” forcing an increase in the supply of E15. While EPA prohibits E15 for marine engines, it has taken no steps to educate consumers of the prohibition against and dangers of using E15, nor has it required that safe fuels (like E10 or E0) remain readily in the fuel supply. Now, more than ever, the risk of misfueling is real. We ask Congress to reform the Renewable Fuel Standard and protect recreational marine products and consumers! Find more info here. Alexander’s Landing is the recipient of many awards including the Mercury and Mercruiser Premier Dealer Award and Top Customer Service Award. Our Service Department offers a certified Master Technician on Mercury Outboards and MerCruiser stern drives and inboards. This certifies the technician meets all Mercury/MerCruiser qualifications, demonstrating outstanding performance and providing the highest standards of service for Mercury Outboards and MerCruiser stern drives and inboards. Alexander’s Landing is a member of the Boating Association of Ohio (BAO), Marine Retailers Association of America (MRAA), and Central Ohio Marine Dealers Association (COMDA). Check out our WBNS 10TV Weather Bug Cam! Whether you live nearby or live outside the Buckeye Lake region, you can see year-round the most up-to-date weather conditions for Buckeye Lake, via our camera link.